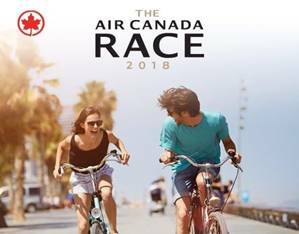 Air Canada recently announced the latest edition of its Air Canada Race will take place in North America in Kissimmee, Florida. Qualifying agencies from across Canada now have a chance to join Air Canada and its tourism partner, Experience Kissimmee, for a five-day adventure from 26-30AUG, 2018. "We are thrilled to partner with Experience Kissimmee for the 2018 edition of the Air Canada Race. This is a hugely popular event with travel agents across Canada, and we think this year's location will guarantee a great competition and lots of fun for our highly valued partners,” said Virgilio Russi, senior director sales – Canada at Air Canada. Race participants will have a chance to win one of five prizes, all of which include air seats for two to Orlando International Airport (MCO), accommodations in Kissimmee, and theme park tickets. Agents will be encouraged to share their race experience on social media with the official race hashtag #ACRaceKissimmee to earn bonus points. For a chance to qualify, agents must book their clients on Air Canada, with bonus points awarded when they book them to MCO, and complete the online information form, here. Agents can also win a spot in the race by testing their Kissimmee knowledge in an online quiz, here. The first two agents to earn a perfect score on the quiz will also qualify. The contest to qualify will run until 26JUL.